Going Crazy With Patterns, Again! This morning was colder than expected, so I went with warmer clothes. But, I still refrained from pulling out my scarfs and gloves. 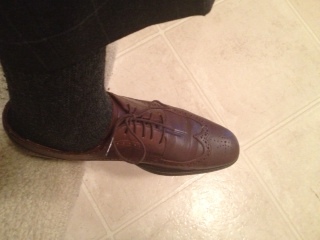 Brown wingtips are made by Saks Fifth Avenue. 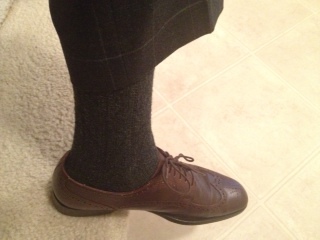 Grey ribbed socks are from Banana Republic. 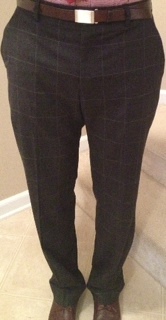 Wool grey window pane trousers are from Banana Republic. 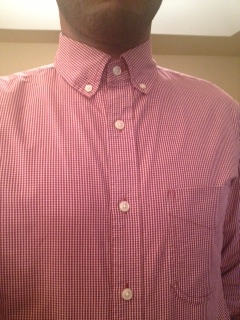 Gingham button down dress shirt is from Banana Republic. Bow tie pattern on the necktie made by Christian Dior is a thrifting find. 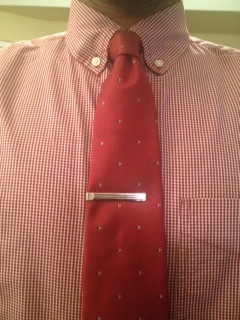 Silver tie bar is from Banana Republic. 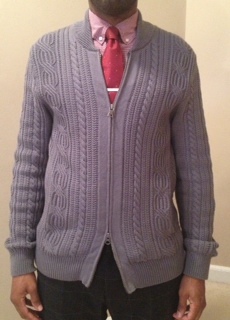 Light grey cable cord, full zip, cardigan is also from Banana Republic. So, I guess you can say that I got carried away with patterns by Banana Republic. 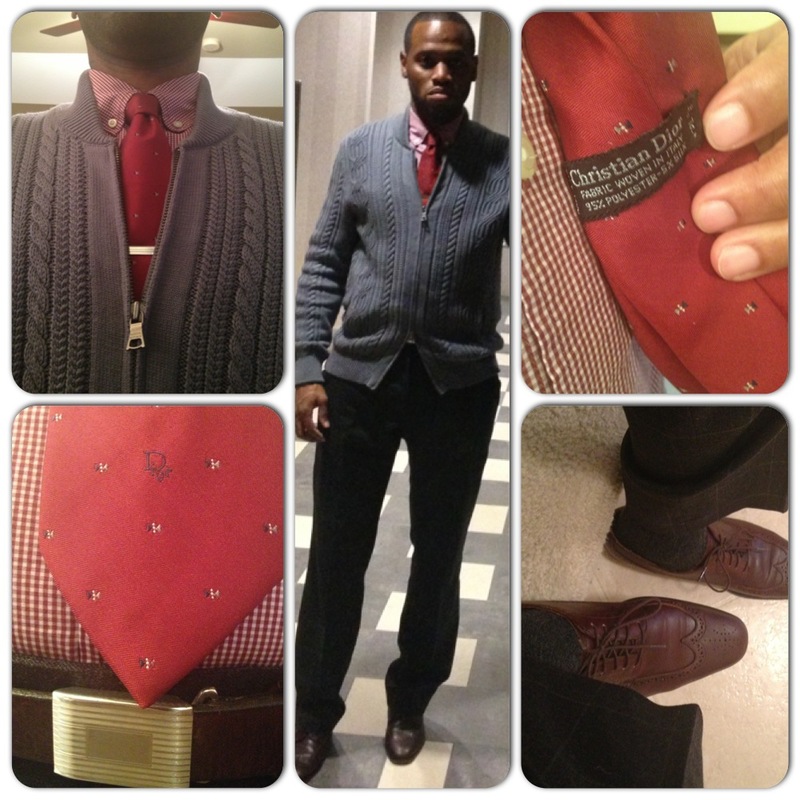 This entry was posted in Uncategorized and tagged Banana Republic, cable cord cardigan, cable cord sweater, Charlotte Style, Christian Dior, gingham button down, Mens fashion, mens style, Menswear, Saks Fifth Avenue, Thrifting, Vintage Dope, Wilbur Dow, Window pane pants, wingtips by wilburdow. Bookmark the permalink.